Ride through Lake Mead National Park to the Colorado River and shoot full automatic machine guns then embark on the worlds best helicopter tour through the Grand Canyon with Champagne Landing. Experience this one of a kind outdoor adventure exclusive to Las Vegas that will be sure to feed your adventurous side. Begin the journey of a lifetime as you take to the air for our sensational “Doors On” helicopter flight through the Grand Canyon and marvel in one of life’s greatest wonders. 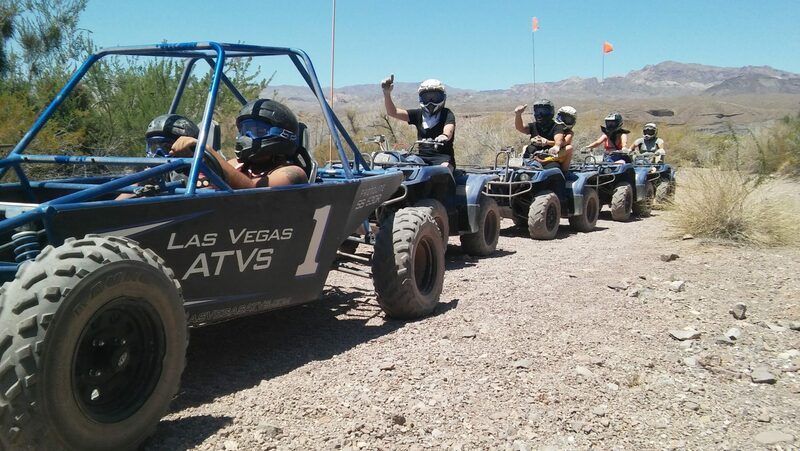 Come back down to earth for an exhilarating Dune Buggy ride through Lake Mead National Park to the Colorado River. 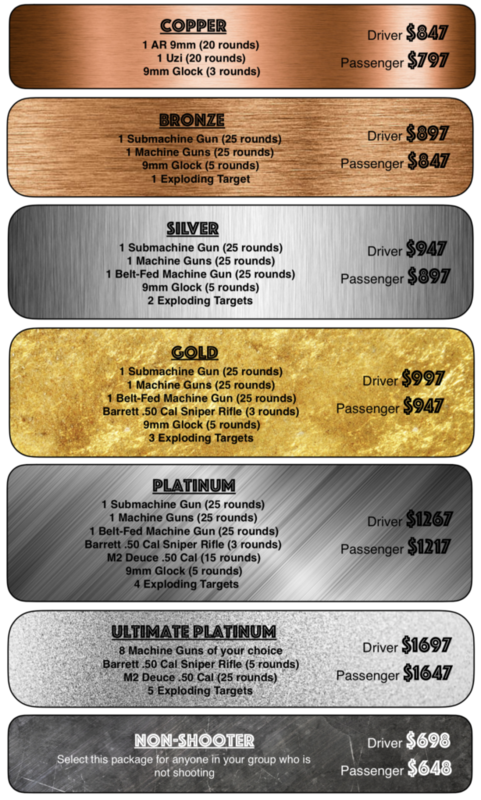 Then top off your experience by shooting full automatic weapons for the best adrenaline rush in your lifetime. Now it is time to get the adrenaline pumping! You will be greeted by your range and shooting specialist then escorted to your private military style bunker set in a stunning desert storm atmosphere. Fire a wide range of full automatic weapons and .50 caliber selections including the Barrett Sniper Rifle, M2 ‘Ma Deuce’ BMG, and Desert Eagle. After getting the adrenaline pumping relax at our onsite restaurant and bar while you enjoy our World-Famous Burger, fresh cut fries, and soda. After a thrilling and most enchanting day, your private tour guide will drive you back to your Las Vegas Hotel with guaranteed memories to last a lifetime. – Single seater and double seater buggies are available. – All children under the age of 18 years must be accompanied by a parent or legal guardian. – Due to a safety concern, pregnant women are not allowed to participate in this adventure. – Passengers on the helicopter exceeding 250 lbs/112 kg will be required to purchase an additional comfort seat. Passengers exceeding stated body weights may be off-loaded at the time of check-in.